Art Break Wednesday: Words – with Friends! (Apologies for late post – could not get my blog to post this earlier this morning, and I was out all day.) Since my art is all about reading, writing, and letters, I thought it would be fun to look at games involving words and letters. 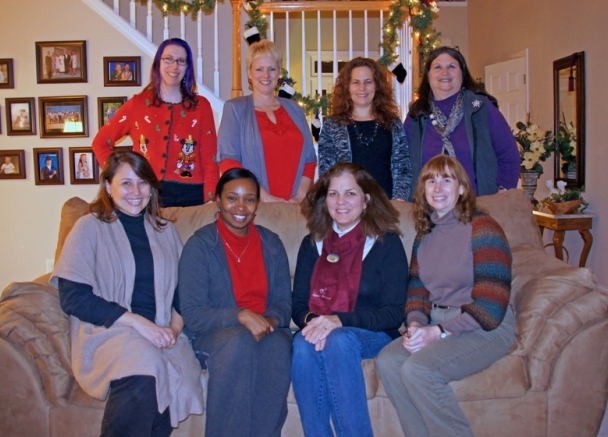 Last night my writers’ critique group, Bookbound, met for our annual Christmas party hosted by the wonderful and talented Donna H. Bowman. We shared our usual yummy food and “white elephant” gifts, and she also had us play games: holiday-themed activity sheets for kids. We had to unscramble words (I was pretty good at that), do a word search, and find hidden pictures. 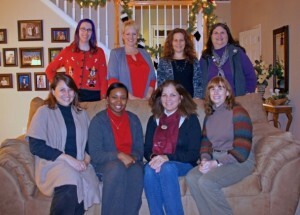 Great time had by all, including Paula B. Puckett, K. D. Bryant Graham, Lisa Sterling, Tracy Walker, and our regular-honorary-invited-guest, Janice Hardy. Heather Kolich mentioned that she and her family loved playing a game called Bethump’d. I’ll have to check out that one. Now I play Words with Friends on my iPhone. Mostly with my college-age daughter, Morgan, my sister-in-law, Patti, and my author buddy Susan Rosson Spain. Took me weeks to be able to beat Susan, but now I get in the occasional win. Somehow playing that game is not terribly unlike working on poetry – having to fit letters/words into structured spaces, I suppose. How about you? 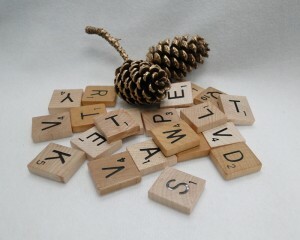 Any favorite word-related games, or favorite games your family might enjoy during these holidays? Do tell! This entry was posted in Art Break Wednesday and tagged Art Break Wednesday, critique groups, games, letters, words by artsyletters. Bookmark the permalink. Hey Sis! I remember Mom being quite the cruciverbalist – yes I get the Dictionary.com word-of-the-day too! Alas, they haven’t updated their “hot word” for about two weeks now (I think we all know that “bluster” is their word of the year, already!) I also remember Scrabble of course, and do you remember “Spill and Spell”, “PROBE”, “Phlounder”, and of course “Boggle”? Love ya! The Scrabble-grams THREW me, not “THROUGH” me! I am embarrassed about posting that on an English major’s (and published author’s) website. One last puzzle for you (ATTICUS is a clue): 2000 state birds of Florida in metric – another clue: the state bird of Florida is neither a flamingo nor a FINCH. Have fun – love ya! Ha ha! Well, glad to know even you make the occasional typo, ;0) And I couldn’t remember all the other word games – see? you did. Re. your puzzle.. Must be: 2 kilo mockingbird. Hi! You nailed the puzzle – no surprise there! Also, remember “Password” (both the TV show and the home game) and one of Mom’s favorite game shows, “You Don’t Say”? I think I also remember a couple of little battery powered toy slot machine things we had; one would display 5 card symbols for a poker hand and the other would display 5 letters that you would have to make as many words out of as you could. Anyway, happy Friday and remember to wish Mom a happy B-Day today! Love to all of you!